Space is everything when it comes to renting a warehouse. Considering warehouse renting rates have jumped 28 percent from 2011 to 2015, you need to do everything you can to conserve your warehouse space. One of the best ways to conserve space is to use the right storage materials. These containers and organizers are both affordable and effective when it comes to tidying up your warehouse. Make the most of the space you have and invest in some of these space-saving storage solutions today. This entry was posted in Uncategorized on December 23, 2018 by dmadden. Over the course of the past few decades, consumers around the globe have become more conscientious of the health risks associated with food and drugs. Popular restaurants have seen E.coli outbreaks, and the warnings associated with prescription and over the counter drugs have intensified. Many seek to find the root of why our products today are at risk. Many Americans believe that the Food and Drug Administration can protect us from contamination. However, with the advent of new companies and new ways of storing products, and with logistical companies being pressured to provide quicker and more efficient service, the FDA cannot provide 100% protection against contamination. A reason as to why this risk exists is the way in which food and drugs are stored and transported. The use of wood pallets in this process plays a key role in whether or not contaminated products may reach the shelves of your local retailor. Many enterprises today seek viable alternatives to this traditional means of storage and transportation in order to have better peace of mind that their products will not become contaminated. You need to understand the risks and benefits of using wooden pallets, as well as the risks and benefits of non-wooden pallets, in order to make an informed decision as to what type of transport system you should use for your products. Wooden pallets have been used in a variety of industries for a century. Many shippers still consider them a very inexpensive way to organize, store, and deliver goods. Wooden pallets are also very robust and durable. They can be used and reused literally for decades if they are maintained properly. Wooden pallets can also be easily recycled, repurposed, and reused. Given the constant use and reuse of wooden pallets over an extended period of time, and the different types of products stored on the pallets, certain contamination dangers become obvious. Many wooden pallets have absorptive properties. As the pallet is continuously repurposed, this exposes the wood to a very diverse assortment of germs and bacteria. These contaminants can be absorbed and potentially passed on to the next product stored on the pallet. As the world changed, we saw an influx of mass-production for our most vital resources. What you eat, and the drugs you take, are both ingested into the body. If during their production they were stored in a facility that left them vulnerable to contamination, then the consumer is also vulnerable. Wooden pallets can pose risks that jeopardize the health of those using the products it stored. To put this in perspective, a wooden pallet used at an agricultural warehouse to hold raw meat and hides, could one day be repurposed to the warehouse that supplies your local pharmacy. There are any number of real world examples that illustrate this, and typically the larger the firm, the less oversight there is when it comes to storage practices. Concerns about bacteria, germs, and other contaminants are further exacerbated by this diverse use over the years and the lack of proper sanitation techniques between repurposing. It is also really difficult to clean wood. Due to the number of wooden pallets constantly being repurposed and put back into immediate service, it is very easy to overlook the necessity of using proper sanitation techniques, especially for pallets used in facilities that store food and drugs. There are any number of different bacteria that can be absorbed into the wooden structure of the pallet. Different studies have produced slightly different results, but the general figures tend to agree among all the reports. An excellent example of a carefully conducted study was done in New Orleans. The study found that 43% of all wood pallets tested in a representative warehouse in the city were contaminated with bacteria. Of that number, multiple pallets had over 1,000,000 grams of bacteria per unit. This is a very high level and guarantees cross contamination. Consumers were affected by this contamination. One of the most common complaints was gastrointestinal issues. However, there have been reports of more serious illnesses associated with companies that store products in a way akin to that of Tylenol’s company. Salmonella, E. coli, and listeria are some of the more serious strains that have been harbored within wooden pallets. These are potentially life threatening after contact. Even attempts to sanitize these pallets have backfired. Frequently, to ease the worries of consumers, firms will claim to use cleaning agents to kill bacteria. However, many of the agents being used contain harmful pesticides that also can have serious ramifications for the health of the consumer. The agent used, to supposedly sanitize the wood pallets that led to the recall of Tylenol, was the same cleaning agent used that caused a recall of Lipitor a year later. This strain was known as 2,4,6-Tribromoanisole (or TBA). TBA is easily identified due to its strong odor and can be, if used incorrectly, potentially fatal. While TBA is not permitted for sanitary use in the United States, other countries do not have these restrictions. The use of TBA to sanitize wooden pallets has been linked to a number of international shipments, most notably from South America. While some attempts to sanitize wood pallets have backfired, of more concern in some ways is the complete lack of sanitation that is the norm rather than the exception. Companies and firms use pallets for a variety of reasons. Pallets can carry pretty much anything that size permits, and they are designed to be easily moved via forklift and other machines. Obviously, over the course of its usage, a pallet can be exposed to any number of pollutants. The FDA has investigated and reported that many, if not the majority, of companies store unused pallets outside. Depending on the location, this can be a major health hazard. For example, pallets stored outside of manufacturing plants can be susceptible to acid rain, animal feces, and other problems. If these pallets are later used to store or move ingestible items like fruits and vegetables, this can be dangerous. With the many concerns swirling around the usage of wooden pallets, many companies in the food and drug sectors are seeking viable alternatives to using wood. Alternatives, in this case, are not difficult to find. Pallets can be made from a variety of different materials. The two types that are considered a much better alternative than wood are those made of plastic or metal. There is a viable solution to wooden pallets. If a company is storing food or drugs, the FDA and industry groups have conducted research and, in most instances, recommend conversion to plastic or metal pallets. Plastic and metal pallets offer many upsides to their wooden counterparts. For one thing, those materials crack less easily than wood. The fewer cracks in the surface material of the pallet, the fewer bacteria can be absorbed, contaminating the pallets. Plastic and metal are less susceptible to the elements than wood is. For example, when it rains, the moisture creates the perfect environment in wood for bacteria to grow. Plastic and metal, however, easily repel water. Plastic and metal pallets are easier to sanitize than wooden pallets are. Wooden pallets are likely to retain chemicals from cleaning agents. The risk of this occurring is dramatically reduced by employing pallets made of alternative materials. Plastic and metal are impervious to acids, solvents, and odors. They also can repel infestations, mildew, and mold. Plastic pallets also allow for heat sterilization, something that cannot be done if you use wooden pallets. This greatly reduces the chances of germ or bacterial contamination. Metal and plastic are even more durable than wood. Wood may be easier to recycle, but metal and plastic last longer. This means less turnover and less cross contamination due to the germ-repelling properties of plastic and metal. Plastic pallets weigh almost 30% less than the weight of wooden pallets. This makes them easier to handle and easier to stack. Companies that have begun using pallets made of alternative materials have reported success in lowering their rates of contamination. For example, firms forced to recall products due to wooden pallet bacteria and germ problems, and who then transitioned to plastic, have claimed a lower contamination rate during follow-up testing. The 21st century has brought about a new consumer awareness that was not previously a factor in the global marketplace. In part due to the rapid rise of technology, buyers now have the ability to find key information about their food and their medicine. The advent of the Internet and Google is making consumers more educated than ever. For example, a person is in a pharmacy looking for a pain reliever. Upon searching for one, he or she does a quick Google search to determine which is the safest to use. At this point, she discovers that Tylenol was recalled due to the unsanitary conditions related to the use of wooden pallets. This entry was posted in Uncategorized on March 2, 2016 by madden_david. FOOD CONTAINERS SAFE TO REUSE? the public, regardless of whether it is deserved or not. at your local grocery store. Care baby bottle, the Pizza Keep’ N Heat container, and the Table Collection. already have and use in your home, not just what is safe for purchase. plastic can contain cancer-causing dioxins, so there is a real concern to be had there. but, before you do, you should know the potential risks of doing so. safe haven for bacteria after repeated uses. levels that were above accepted guidelines. becomes: When was the last time you washed your water bottle out? bottles were often subjected to. Still other studies have shed new light into just how bad this contamination can get. the neck of the bottles, as well as the part of the bottle that goes in a person’s mouth. can and will occur inside the bottle. largely the truth, but even these have their limitations. front, but they can end up saving you money in the long run. ones once you have them in your home. brand that offers inexpensive and safe food storage containers made entirely of glass. tainer is free to be used for the next fledging seeds. become aware of your new impromptu feeder. even be a good idea to create several of these as you go along. use Styrofoam to hold the speakers in place! and you’ve got yourself a portable party. lowest risk for passing the dangerous chemicals onto and into your body. This entry was posted in Uncategorized on February 3, 2016 by madden_david. Looking to use pallets in your business? Not sure which ones to use? Pallets are great investments for any business and are an important part of any industry supply chain. Pallets can be made from a variety of materials, including but not limited to wood and plastic. 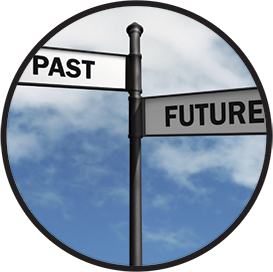 Each offers its own advantages and disadvantages for specific business needs. The following is a simple guide that you can use to determine which pallet type is best suited to your industry needs. The two most common pallets that are used in industries these days are the wooden and the plastic pallet. Less expensive than plastic pallets. Can be repaired easily by replacing the boards which may be worn or damaged. Can collect pallet materials from recycled materials, making them environmentally friendly. Can be recycled easier than plastic pallets by turning them into paper and mulch. Feature higher friction than metal and plastic pallets. No delivery time restrictions, unlike normal timber pallet regulations. 100 percent recyclable and can easily be turned back into new pallets. Feature a 10+ year life span. Highly resistant to different chemicals including alkalis and acids. Safer to handle than wooden pallets, without chipping, splinters, or screw nails. Four way entry provides easy pick up and moving by forklifts. Able to be used in almost any climate conditions. Easily stackable and storable to save space. Can be cleaned with ease using chemical sanitization, steam cleaning, or hot washing to remove any unwanted bacteria. Up to 30 percent lighter than wooden pallets. Cost more for air freight. More difficult to clean and, if they become wet, they can encourage fungi and bacteria growth. Can cause problems with warping, protruding nails, shrinking, and splinters for handlers. Continuous reordering raises overall costs. This is because they are made from organic matter which can weaken and warp over time. If broken, plastic pallets can’t be repaired as simply as wooden pallets. They generally have to be melted and remolded to make a new pallet. Plastic pallets tend to cost more than wooden pallets, making them unsuitable for those who are on tight budgets. When looking to purchase pallets for your industry needs, it’s important to consider everything. The following are some pallet buying tips you can consider to make an informed decision. What is the pallet delivery address? What is the unloading scenario of your pallets: Dock or Ground? What quantity will you be ordering in the pallet size you need? How often do you order your pallets? What pallet type do you require? Recycled or New? Will the pallet be used on racking systems or floor level? What products will be placed on the pallet? Will pallets be double or triple stacked? The length of the pallet size needed. The width of the pallet needed. Entry style required: 4 way or 2 way. Deckboard style: Any style, double wing, single wing, or flush. Pallet style: Block style, stringer style, or both. Checking them for any damage. This can include water damage, cracks, boards coming apart, and more. Any type of damage can cause the integrity of the pallet to be weakened, which can result in problems with weight support. Checking the old pallets for chemical damage. Chemicals can be spilt onto the pallets. This can cause discoloration and leave a harmful residue. Older pallets like these shouldn’t be used, to make sure you and your workers are safe at all times. Make sure they are suitable for the products you will be placing on them. Make sure each pallet features strength enough to support heavy items. This will reduce accidents from occurring. Check the safety label of the pallet to make sure they were certified pallets at some point in time. When it comes to selecting a pallet, it’s important to get one that is best suited to your warehouse needs and requirements. By considering these advantages and disadvantages, you can make an informed decision that will suit your industry needs. So, which pallet type did you end up choosing? This entry was posted in Uncategorized on December 31, 2015 by madden_david. Want something new in your home? Want to try refurbishing a wooden crate? There’s nothing better than using your decorative skills to transform an old wooden crate into a new furniture piece. Wooden crates have been used for a variety of different applications in industries. These days, many people use wooden crates to store everyday household items, from magazines, CDs, and DVDs, to the TV remote. Creating a new storage solution out of an old wooden crate isn’t as hard as you think it might be. The following are some tips on how you can refurbish a wooden crate to suit your home décor. Before you refurbish any old crate, it’s important to check it thoroughly for damage or chemical residue. Many wooden crates have been used for a variety of chemical storage solutions. This means they may have been exposed to chemical liquid spills from time to time. One way to find out whether it may have been exposed to chemicals is if it has a slight smell to it or if it features any dark discolorations from unknown liquids seeping into the wood. Although some people may refurbish old chemical storage crates, it’s advised against, as you can still be exposed to the chemicals when in close proximity to the crates. From time to time you may find a crate which features some form of damage, such as cracks or boards coming off. This isn’t a big issue if you aren’t going to place anything too heavy in it. Cracks can add a more aesthetically appealing appearance, while boards coming off can easily be nailed back on. If you find the crate to be rough to the touch, a simple sanding with a wood sander can help to improve the look, feel, and texture of the crate. Depending on where you have purchased your crate and what it may have been used for previously, you will need to clean it. You can use the rag or brush to remove any dust particles or spider webs which may be on the crate. If the crate features plenty of grooves, it is best to scrub it using a brush. Although this may take a bit of effort, it can help to protect you at a later date from harmful particles that may be situated in the dust. Be sure to wear a dust mask and gloves. If you notice some mildew, a smell, or any other blemishes, it is best to wash the crate using water and a vinegar solution. Wipe it down and let it dry before painting it. 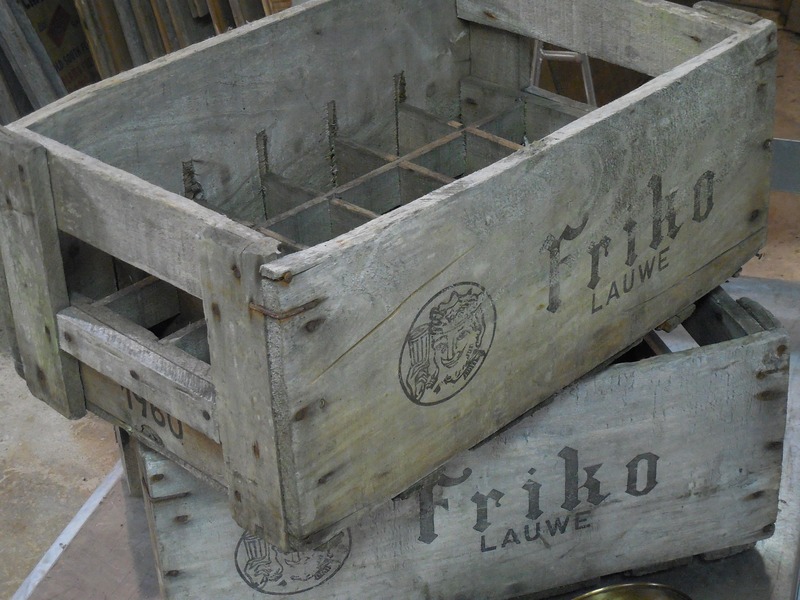 To make your crate come alive, simply apply a primer and the paint to your wooden crate. This will give it a new style and look which will decorate your home. For those who are unsure what the purpose of a primer is, it helps the paint to stick better to the surface of the wood, keeping it from peeling off in the future. Use a white primer if you’re planning to finish coat using a bright or light color. Select a gray primer if you plan to paint your crate a much darker color. Spray paint or brush-on paints are both great options to use. When selecting the color, it all comes down to personal preference and what will match your surrounding area where you’ll be placing the crate. Prep the area well to ensure proper ventilation. Lay down newspaper and have drop cloths ready for any spillages or drips. If there are any decorative stickers already on the crate, make sure you place newspaper or painter’s tape over the top of them before painting. Make sure the painter’s tape isn’t applied directly to the sticker, as it may be damaged upon removal. Apply your primer using a thin coat. Let it dry and reapply another two to three coats. Apply your paint once the primer is dry. Let the paint dry before applying two to three extra coats. Allow your crate to dry overnight before using. Wooden crates come in a number of different sizes and styles to choose from. Refurbishing a crate doesn’t have to be hard; by simply following the tips above, you can easily create a new and fashionable item for your home and your storage needs. So, what color did you paint your wooden crate, and why? This entry was posted in Uncategorized, Wood Crates on December 31, 2015 by madden_david. Going green is a big movement that companies are trying to push out. Consumers want to learn how companies are helping the environment. With this infographic, a business will be able to learn how something as small as packaging can play a huge role when it comes to saving the planet. This entry was posted in Uncategorized on December 3, 2015 by madden_david. What Are the Advantages of Stack Racks? Stack racks allow you to have more warehouse versatility and flexibility when reconfiguring your warehouse footprint to obtain maximum storage efficiency and density. Stack racks provide a convenient storage solution for products that are stored on the floor or that can’t be double stacked. Stack racks provide a solution for these types of products to be double or quadruple stacked to promote more density and space saving within your warehouse. Stack racks provide you with a storage solution which can be reconfigured to seasonal peaks and changes in product orders without having to change the entire layout of the warehouse. They don’t require you to dedicate valuable square footage of your warehouse when setting up permanent racking systems. 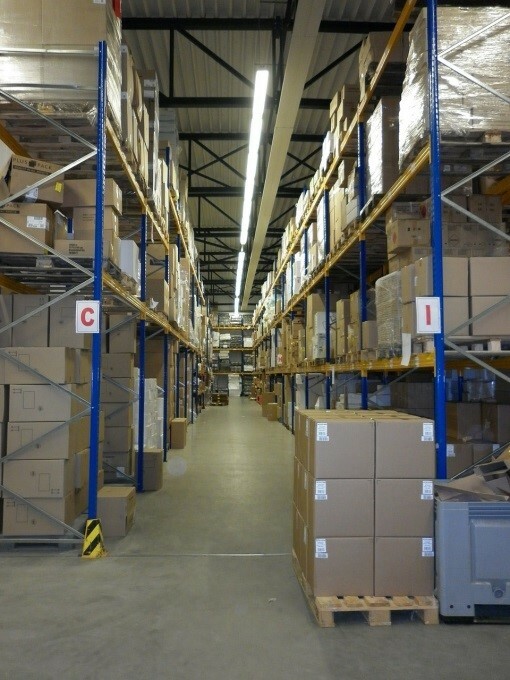 This allows you the chance to reconfigure as your warehouse needs grow and change. Stack racks give you the option of moving multiple pallet locations simultaneously. They allow for a reduction in product damage from being over-stacked or left on the floor. They promote fast assembly and can be disassembled just as quickly when not in use, to help free up more warehouse space. Due to their versatility, you’ll find that stack racks can easily be used in a variety of industries. They’re a great option for storing bulk items, such as ex-seasonal merchandise that needs to be stored for months at a time. Stack racks can reduce manpower, handling time, and labor costs. This is because they can be moved, when loaded, to production lines or workstations where needed. They lower the costs of wooden pallets. The base of the rack can be used as a pallet and can store products directly on them. Because of their versatility, stack racks can be used as shipping racks. This would help to reduce stock damage and would reduce shipping costs greatly. You can customize stack racks to fit around your products more efficiently to save space. 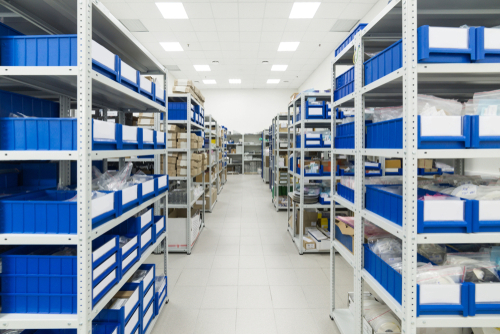 When disassembled, stack racks can be stored within a small warehouse area, which helps to free up floor space. They allow for maintenance-free use over a long period of time. Suspended roll racks are designed to help protect your more sensitive material merchandise, such as padding and carpet, which is available in rolls. These racks feature a core beam which prevents your products from touching the floor. They can be stacked 3 levels high, and you can generally access them with a commercial hoist and forklift truck. You’ll find these types of racks come available in multiple designs. The popular choice among many warehouses is manufactured with a perforated decking. This allows for the water from sprinklers to run through them easily without collecting in a puddle under your stock. Another popular choice is the wire mesh decking, which is perfect for storing your used or low price point tires. Nursery stack racks are designed for the nursery plant industry. They protect plants during mass storage or transit. Generally, you can stack plants 5 levels high without crushing the seedlings. Their design helps your plants by providing increased air circulation, while protecting them from the heat when out in the open. Coil stack racks are perfect for heavy materials such as steel coil. They are suitable for storage of heavy materials and can be stacked up to 5 levels high. These types of stack racks are designed specifically for rail cars and can help with doubling the storage capacity of each separate box car. They are easy to use and provide a simple storage solution for a variety of applications. Products such as hoods, glass, side panels, transmissions, and catalytic converters can easily be broken or damaged in shipping and receiving areas. Protecting them with shipping stack racks can provide both portability and protection. Shipping rack models are designed with sides that can fold down so they can be stored in compact efficient stacks. Custom models can be built to stack 2 levels high during transit and 5 levels high in a warehouse. Stack rack carts are versatile and portable racks which can provide optimal stock rotation while delivering cost-effective stacking. Generally they feature two rigid casters and two swivels with brake casters. They are capable of delivering a holding capacity of 2,000 lbs. and 4,000 lbs. 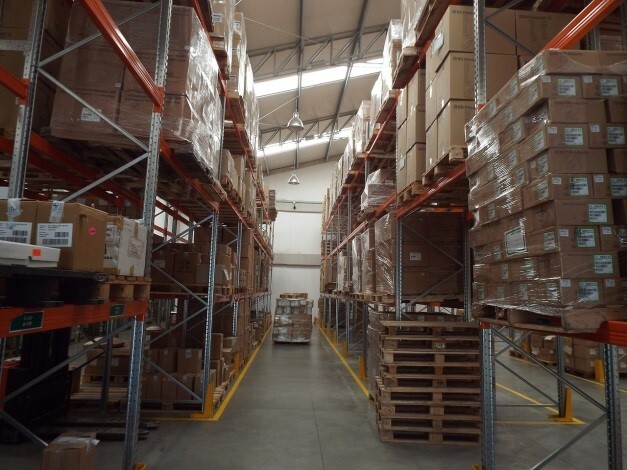 A stack rack is a fantastic solution for any warehouse or industry owner looking to improve space saving while protecting their valuable stock. Not only will it save you money, but time with setup and organization. So, what type of stack rack do you use? This entry was posted in Uncategorized on November 6, 2015 by madden_david. It’s no secret to anyone that the general public is more aware of the importance of sustainability now than ever before. In fact, the chances are excellent that most people you know have taken at least a few steps toward living cleaner, greener lifestyles on a personal basis. Whether they’re doing their part by recycling whenever possible, or choosing to carpool and use public transportation more often, people everywhere are doing whatever they can to reduce their carbon footprints and preserve the planet’s precious resources. This move toward global sustainability isn’t just limited to private households and suburban neighborhoods, either. Businesses and corporations everywhere are on the bandwagon, as well, thanks to increased pressure from the media and the government to prioritize eco-friendliness. In fact, recent studies suggest that within the next decade, sustainability could well replace cost as one of the packing industry’s major challenges and priorities. Let’s take a closer look at how sustainability is changing the way we do business and explore the benefits of getting your company on board sooner rather than later. What Types of Changes Are We Seeing? When you’re the owner of a business that does things the old-fashioned way as far as packaging and shipping, it can be hard to picture what it means for a given company to “go sustainable”. The following are some of the most effective and popular ways modern facilities and businesses are making sustainable shipping practices the order of the day. Anyone that’s ever explored ways to reduce their own personal carbon footprint already knows that cutting down on transportation fuel costs is one of the first things that should make the to-do list. For instance, instead of each person in a family driving their own automobile everywhere they go, they might carpool, walk, cycle, or take public transportation more often. Reusable/sustainable packaging solutions that can be easily and safely stacked one on top of the other are also becoming increasingly popular. Stronger containers that can be stacked higher than average allow a given company to maximize a trailer’s vertical space and ensure that each truck is truly filled to capacity for each shipping run. This is a great way to make sure the best possible use is being made of warehouse or storeroom space. Reusable containers also cut down considerably on the amount of shipping waste that is created though the process of doing business, as well as the fuel costs that would be required to dispose of that waste. Instead of one-use cardboard boxes and corrugated containers, alternatives like wooden crates, sturdy industrial plastic totes, and more are the smart business’s pick when it comes to being environmentally responsible. Here in the information age, a business’s clients expect to be given more insight into how an order they’ve placed is progressing. Knowing and understanding more about where their shipment is at a given time and when it can be expected to arrive, in turn, helps them to plan their business expenses better. Better business management ultimately adds up to fewer wasted resources overall. How Big of a Problem Are Shipping Containers? The corrugated boxes and shipping containers many companies still rely on exist in such abundance because they really are typically only used once before they’re discarded. In 1990 alone, producers of such containers manufactured around 25 billion corrugated boxes. (That’s about 100 boxes for every single person living in the United States at the time.) Such boxes were responsible for nearly 13% of all municipal waste – about 24 million tons worth. In regards to the big picture, packaging waste still accounts for nearly one third of the entire waste stream today. When you seriously consider the magnitude of those numbers, it’s not hard to see why modern businesses are currently under so much pressure to go sustainable sooner rather than later. Efforts that target packing and transportation-related waste in particular are capable of having a significant effect on the nation’s waste situation. What Types of Businesses Can Benefit from Sustainable Packaging and How? When most business owners picture reusable shipping containers, they picture massive crates that are cargo-ready – the kind you see being loaded onto freight trains and cargo ships. While there certainly are freight-sized options that are sustainable, reusable packaging on the whole is really quite versatile. That said, absolutely any business that requires the ability to ship and/or store goods can benefit. Restaurants, bakeries, grocers, and catering companies are reducing shipping costs and cutting back on product damage by making the switch to sturdy wooden or plastic shipping crates capable of preserving the integrity of produce and other edibles. Offices and retail establishments are getting organized by investing in items like nesting totes and organizer bins. There are even sustainable packaging options available these days for the storage and transport of chemicals, paints, and other toxic substances. Going sustainable provides multiple business benefits regardless of the industry you’re in. The following are just a few of them. When you crunch the numbers as far as what disposable packaging costs your company annually versus what reusable packaging would cost, you immediately see how reusable packaging saves you quite a bit of money, especially over the long haul. Reusable options cost more up front, but, as they don’t represent a recurring cost the way corrugated containers do, they eventually pay for themselves. Switching to reusable packaging saves you money when it comes to labor costs. Instead of wasting manpower breaking down boxes or preparing disposable packing materials for recycling, you can put your employees to work on other tasks. You won’t need to pay as much in overall disposal costs. Relying on disposable shipping options means relying on flimsier, less reliable packaging that won’t protect your product as well as a reusable option will. Naturally, this is going to add up to a certain degree of product damage and lost revenue, especially over time. Switching to wooden crates, plastic totes, or other similar options is a great way to protect delicate products like produce, artisan products, or glassware. Shipments are more likely to arrive completely intact, and products are better able to withstand extended periods of time spent in storage facilities. Your customers and clients will be happier with the quality of their products. Since reusable shipping and storage containers come in so many different varieties, making the switch means you’re opening the door to a whole new world of possibilities when it comes to how you do business. What new products would you add to your catalog if you could be sure that they’d survive a rough shipping trip? How many ways could you streamline your delivery methods if you had more choices as far as shape or size when it comes to the containers you use? As you can see, reusable containers are about more than simply doing one’s part to preserve the environment. They’re strongly associated with higher profit margins, better customer service, and better business management overall. Of course, deciding that your company is ready to make the jump to reusable packaging is one thing … but deciding how to proceed is another. There are naturally a lot of questions you need answered first. Where can you find the best reusable packaging options? Most importantly, what makes the difference between a great packaging supplier and a merely passable one? Manufacturers, vendors, and distributors that specialize in sustainable industrial packaging solutions are more common than you might otherwise think. However, it’s important to realize that there’s an art to building a partnership with the right one. Here’s what you and your business associates should be looking for. Naturally, you want to make sure you’re dealing with someone that you know you can trust to supply you with cost-effective, solid packing solutions for a long time to come. That said, reputation really matters. 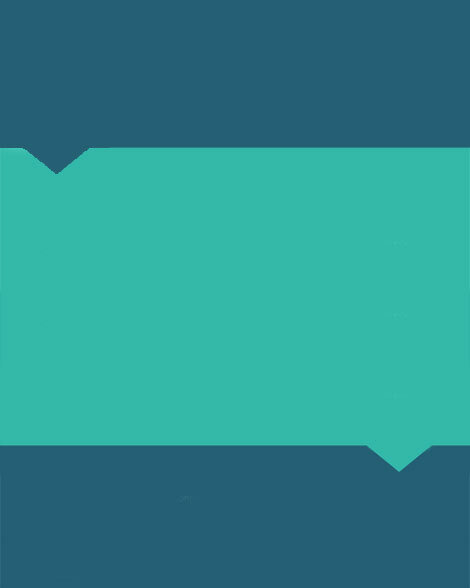 Before deciding on a given supplier, look into their standing with the Better Business Bureau and check out any testimonials they may have on their website. You’ll also want to see what other customers are saying about their experience with the company via online reviews. Would the great majority of this supplier’s customers choose to do business with them again? In cases where people weren’t happy with the service, what were the reasons? Did the company respond to the person’s complaint and attempt to make things right? Many businesses that make the jump to reusable containers eventually find that they no longer need some of the containers they originally invested in. Perhaps they want to change things up, the better to suit a new product line or business model. Alternatively, they may simply no longer have a use for the same number of containers they once needed. In many cases, the containers are still in excellent condition and could be just as useful to another facility as they were to theirs. That said, choose a container supplier that not only sells reusable packing options, but can purchase them back for resale for you. Reselling is a great way to preserve even more resources and be even more environmentally conscious as far as how you do business. It’s also an excellent way to recoup some of your original investment in the materials. You may find it helpful to determine whether or not the company refurbishes containers that show a little wear and tear. This increases your chances of being able to sell the product back eventually, even if it’s a little banged up from years of solid use. Yes, reusable shipping containers represent an investment in the future of your business. However, going sustainable shouldn’t break the bank or completely wreck your bottom line. Look for companies that clearly care about providing their customers with product that is not only useful, but representative of a good value. You’ll also want to find out how the company goes about tallying the final cost of a given transaction. Make sure that any applicable fees and upcharges will be presented to you up front so that you know right out of the gate how much you’ll be paying. Don’t be afraid to ask outright about quality guarantees, special discounts you may qualify for, and so forth. Overall, you should feel like you’re getting a great deal on a superb product you can count on. Last, but definitely not least, you should feel comfortable on a personal level with the supplier you choose. When you have questions or concerns, do reps from the company get back to you promptly with answers? Are you happy with the way they handle customer care overall? Do you feel like the company values your business and is invested in keeping you happy? Overall, you should be satisfied with the experience of doing business with the entity you select. Transactions should be simple and nearly effortless. You should feel that you have adequate support at all times. At the end of the day, making the switch to reusable, sustainable shipping options is more than just a great way to reduce the negative impact your business may have on the environment. It’s a highly beneficial way for your company to take its services to the next level. Explore the possibilities today! This entry was posted in Uncategorized on August 18, 2015 by madden_david. 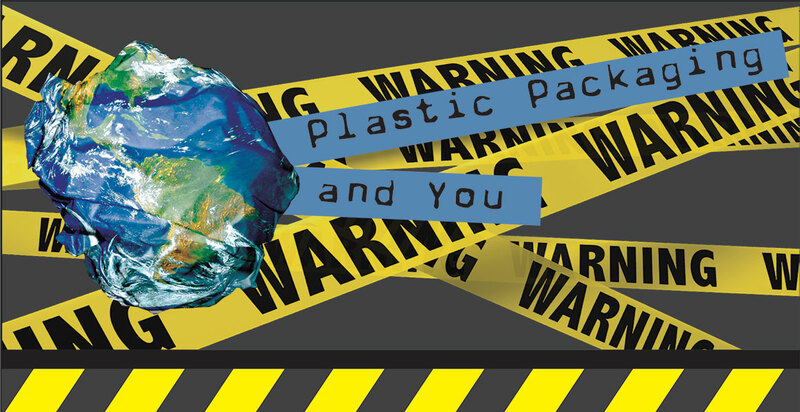 Before reading this article, discard all knowledge you thought you had on plastic packaging. Plastic packaging has taken over our lives from the food we eat to the tiny packages of batteries that require two people and a pocketknife to open. Plastic packaging secures our product and makes sure our convenient sandwiches stay fresh in the grocery store. The majority of us do not give much thought to the amount of plastic packaging in our lives. Whether we throw it in the trashcan, or throw it in the lake the impact on the environment is noticeably evident. The problem is just how much we take plastic packaging for granted, seeing that it helps keep our food and drinks mobile and as fresh as possible. What we often fail to see is just how perishable the foods and products are behind this bulwark that is plastic packaging. Scientists and researchers are constantly developing new ways to improve plastic packaging. For example, how do daily foods such as fish reach us in an edible and pleasant condition? 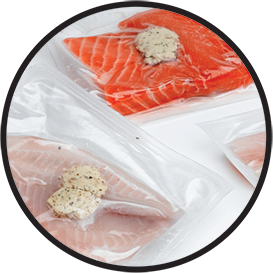 Without the plastic packaging securing the fish’s freshness, you would receive a mangy, half-rotten dinner addition. Entering the world in a big way in the 1960s, the plastic innovation in the food packaging industry skyrocketed in use due to its remarkable qualities. More protective than paper, quite cheap to produce, and lighter than glass, plastic packaging has been used for food packaging for over 50 years now! Invented in the late 1800s, plastic really began to shine for consumers when it was transmuted into the form of Tupperware in the early 1900s and reached its modern revolution with the creation of easy-dip ketchup packets! Unveiled in 1862 by a man named Alexander Parkes, he first dubbed plastic with the name of Parkesine, which was actually derived from cellulose. Cellulose is a biological product, which Parkesine was able to be manipulated when heated and once it cooled, it would retain its allocated shape. The next advancement in plastics was during the early 1900s when Dr. Jacques, a Swiss textile engineer, produced Cellophane. The first of its kind, this clear layer of plastic packaging was both flexible and water impervious. You can see the pattern emerging already, can’t you? In 1930, a man named Richard Drew innovated the creation of Cellophane Tape. While being an effective means of sealing food packages used by bakers and grocers, it was also a more visually appealing product. Reaching the next milestone, in 1946, Tupperware was created in the USA by a man named Earl Silas Tupper. 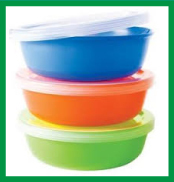 Like modern plastic containers, Tupperware containers provide an airtight seal and are one of the most renowned reusable plastic packaging products in known history. Another iteration / innovation occurred in 1950, Harry Wasylyk and Larry Hansen invented the next best form of plastic packaging we use every day !important; the black garbage bag. Originally, they were sold primarily to the Winnipeg General Hospital, eventually the use of black bin bags become popular for home use and slowly became incorporated into our everyday lives. From then until now, plastic packaging innovations and marvels have been introduced through the years. From salad-in-a-bag plastic packaging products to the creation of plastic bottles, plastic packaging use has reached an all-time high. Not only that, but plastic is also mostly recyclable and, as such, it provides another green, renewable source to keep our environment safe! Plastic packaging, as mentioned above, is everywhere, but how is it actually made? Derived from organic products such as the previously mentioned cellulose, plastics are somewhat natural products, in that they are derived from natural raw materials such as salt, coal, natural gas, and even crude oil. 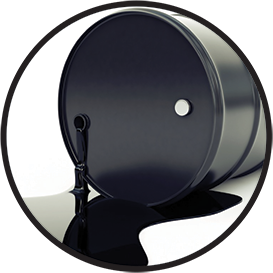 Unlike the latter, crude oil is comprised of thousands of different compound and has to be processed before it becomes useful as a plastic packaging product. Taking crude oil as the prime example of the creation of plastic, the first step to the production of plastic is to carry out the distillation process at an oil refinery. Separating heavy crude oil into lighter groups of compounds known as ‘fractions’, the distillation process allows the specific fraction essential to plastic creation to be found and utilized. 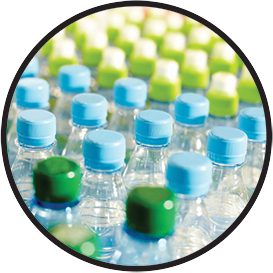 With each fraction consists of a mixture of hydrocarbon chains that differ in size and structure on a molecular level, the fraction known as naphtha is the vital element required to produce plastics. Having discovered this naphtha element, the next two processes are the most important procedures required to produce plastics. One is called polymerization and the other is called polycondensation. Polymerization is the process whereby small molecules group up to form longer molecules known as polymers. Regarding plastic creation, these polymers are then used to continue the plastic making process via polycondensation. Polycondensation is the process of chemical condensation where the polymers achieve a formation of a compound that holds a higher molecular weight that when the polymers were separated. This increase in structure and weight is where plastics begin to manifest. Using these processes, countless forms of plastics can be created, but there are two main polymer family groups, Termoplastics and Thermosets. Thermoplastics are the types of plastics that soften when heated – allowing their shape to be altered – to then harden again once cooled. 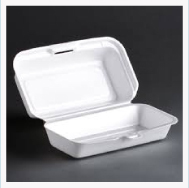 For example, a plastic food tray is heated to form the shape of the tray, and that form is retained until the plastic is reheated again to a specific temperature before being manipulated again. 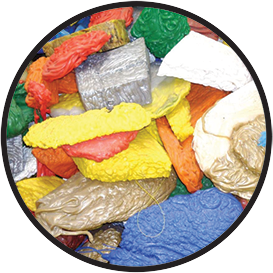 Thermosets are the types of plastics that never soften once they have been moulded. For example, microwaveable plastic containers, which stay solid when used in the microwave is a thermoset. If you were able to keep up with all the science of it, congratulations are certainly in order! The plastic creation process is a long and complex procedure, as you can see, but all these steps allow the production of a material that has thousands of uses, yet only one true molecular structure that can be changed over and over again to suit the need of anyone. Well, some of the obvious places plastics are used are in plastic wrap and plastic bottles, but it is almost always unnoticed in food packaging products such as in chip bags, tooth-colored dental fillings, and even inside the linings of most cans such as tins of tuna, pet food, or soup! 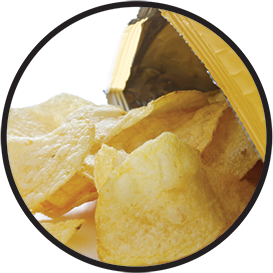 Starting with chip bags, many people believe that they are made from aluminium or something of a similar nature because they are shiny on the insie, but that would be an incorrect assumption! Using a plastic known as oriented polypropylene, this plastic is layered between the inner and outer layer to maintain the chips’ freshness. The main thing that causes chips to lose freshness is moisture, and as a remarkable moisture barrier, this plastic prevents the moisture outside the packet from reaching the delicious chips inside, Homer Simpson rejoices! Pumping the chip bags with nitrogen just before sealing makes sure the chips do not get crushed in transit. Why not oxygen, you ask? The pumping of oxygen into a tightly compressed area where the crisps inhabit would lead to the chips oxidizing and ending up tasting off. Nitrogen is an inert gas and doesn’t interact with other molecules and does not have that effect and does not cause any chemical reactions in transit. Lining the inside of a tin or can with plastic may seem someone odd when first considered, but the reasoning behind it is worth the inclusion of such a barrier. 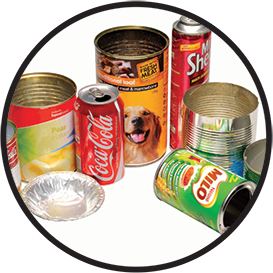 Often made of aluminium, tins and cans contain plastic linings to prevent the acids or contents either corroding the metal inside the can or preventing any chemical alterations due to reactions between the aluminium and the drink inside the tin. Imagine the fizzy soda corrodes the aluminium inside !important; this would lead to some very noticeable taste changes to say the least! Nearly all tins and cans have been lined with plastic barriers to avoid such mishaps since the 1950s! Yes. Dental fillings have plastic in them! Using a glass and plastic resin mixture, a composite, tooth-colored filling is created and used to restore any decayed or decaying teeth a person might have. 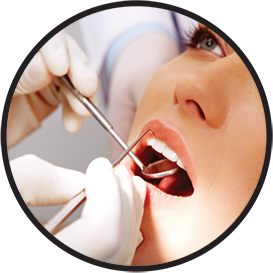 Often used for those back teeth fillings due to their heavy chewing force, plastic dental fillings provide a strong product that does a great job at replacing the force and enamel lost when a tooth decays or is taken out. Using the same oriented polypropylene plastic as used in chip bags, salad bags are also pumped with nitrogen gas to avoid the bruising and the over compression of the delicate salad contents. 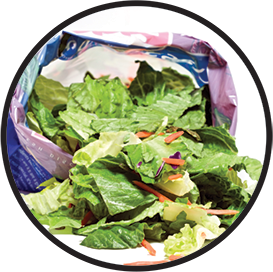 Despite the similarities to chip bags, salad bags have one big difference in plastic requirement. As one of your 5-a-day vegetables, they need to breathe, taking in oxygen and releasing carbon dioxide. To achieve this, salad bags are provided with microperforations that allow this transference of oxygen and carbon dioxide to occur. Without this plastic adaptation, the salad would quickly become withered, bruised, and become inedible.Another fun feature about salad bags is the use of an anti-fog, thin coating of plastic inside of the bags. This addition of plastic prevents the build-up of condensation and allows the delicious salad to remain visually appealing and observable for much longer than if condensation were allowed to amass within the bag. 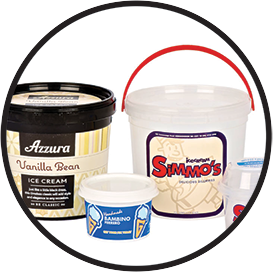 Without the tight seal provided by ice cream containers, the ice cream would lose its smooth and luxurious texture. The difficulty and perfect utility of plastic is to allow the creation of an ice cream container that features this tight seal, yet it is easy to open and close. Inside a freezer, a food hazard known as sublimation can occur. This entails the conversion of water from a solid state turning directly into a gas. Should this occur, the water would be lost and the loss of moisture would cause the ice cream inside the container to become grainy and unappealing. Due to these kinds of issues, paper tubs of ice cream usually include the use of a plastic coating of polyethylene, whereas, the more extravagant ice cream containers feature the use of thicker and sturdier plastic materials. 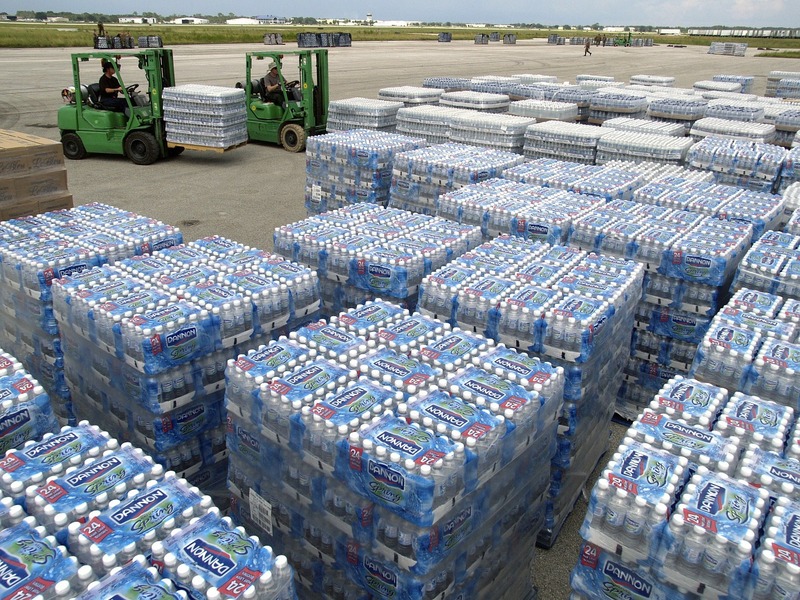 The creation of plastic bottles began in 1947. They were quite expensive and were used commercially. By the early 1960s, the high-density plastic, polyethylene was introduced providing a cheaper and easier to mass produce plastic bottle variant. 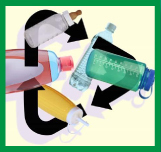 This type of plastic bottle material has been continuously used throughout the years and is the current plastic used in the majority of all our plastic bottles today. With the huge amount of controversy surrounding whether plastic bottles leech chemicals into our water has been omnipresent for several years. Many examples to disprove this theory have come about such as the hot car scenario, many believe the taste of a beverage changes because the heat causes the plastic’s chemicals to be released. However, this taste change actually occurs from air transference into the container and is brought about by heating and cooling the vessel. When the weather becomes hotter, the air begins to move at an accelerated rate and chemical reactions occur faster. As the air goes through the plastic and the chemical reaction between the air and water increases, the change to a displeasing taste has been proven not to be due to chemicals from the plastic. Instead, the air and water create a chemical reaction between the two of them and that changes the waters properties including taste. 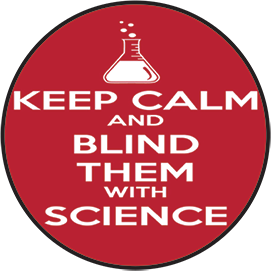 This same science applies to fizzy drinks. As fizzy drinks contain carbonations, hot environments take the carbonation the drink contains through the plastic, leaving a flat, not-so-nice bottle of soda. Plastics are becoming increasingly recyclable and provide a limitless amount of uses as a singular product. The next time you use plastic packaging, remember how far it has come to reach and improve upon our lives every day, and how much farther it could still go, and don’t forget… Make sure to protect our future and the future of our planet by recycling as much of these materials as you can. This entry was posted in Uncategorized on July 15, 2015 by madden_david. Created from the Container Exchanger team! This entry was posted in Bulk Containers, Carts, Industrial Racks, Pallets, Totes, Uncategorized on June 4, 2015 by madden_david.